Steven Kasher Gallery is thrilled to present Max Kozloff: New York Over the Top, a collection of 20 color prints drawn from over 35 years of Kozloff’s New York photography. This show launches Kozloff’s first photographic monograph, New York Over the Top, introduction by Marvin Heiferman (Contrasto, 2013), and coincides with the Art Institute of Chicago’s exhibition Max Kozloff: Critic and Photographer, running October 5th through January 5th. Max Kozloff is a street photographer, alert to the extravagance and sorrows of life in the Big Apple, which he visualizes with idiosyncratic color. 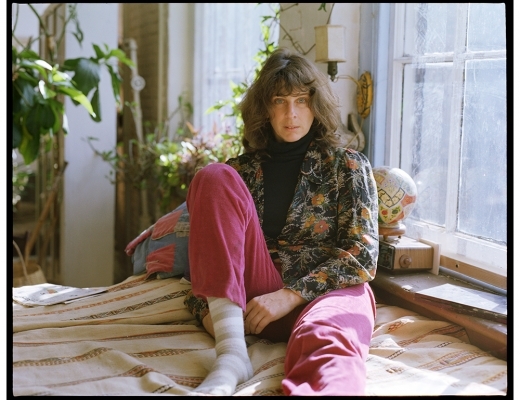 Kozloff photographs his fellow citizens with an urban eye. He does not see them as legendary creatures, but he often makes them out to be fabulous presences, glimpsed at carnivals and festivals. He is especially enchanted with that he has called “the music of faces”, a spectrum of moods at variance with the consumerism or ethnicity of circumstance. Statues, effigies, or teddy bears seem to offer internal witness to what he calls New York Over the Top. Max Kozloff continues to be a prominent New York writer on photography after his tenure as Executive Editor of Artforum concluded in the 1970s. He has published three volumes of his collected essays on the medium, as well as New York: Capital of Photography and more recently, The Theatre of the Face: Portrait Photography Since 1900. 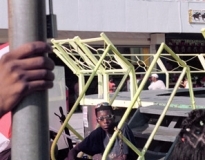 Simultaneously, and with equal zeal, he has developed a career as a practitioner of color negative street photography. Opening in October, the Art Institute of Chicago is recognizing his achievement with a retrospective that acknowledges the scope of his imagery as well as the provocations of his writing. 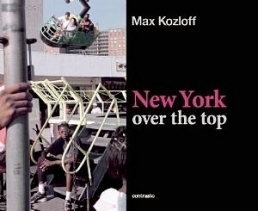 Max Kozloff: New York Over the Top will be on view September 12th through October 19th, 2013. Steven Kasher Gallery is located at 521 W. 23rd St., New York, NY 10011. Gallery hours are Tuesday through Saturday, 11 AM to 6 PM.